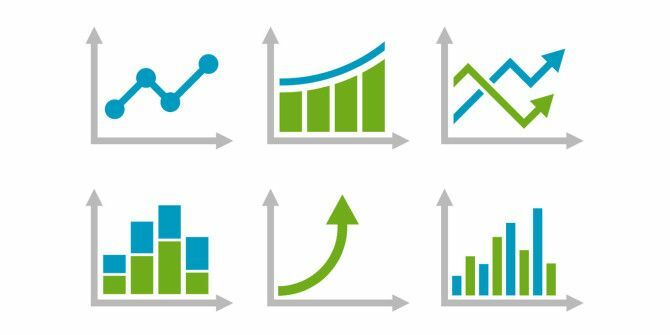 Whether you’re creating charts and graphs 8 Types of Excel Charts and Graphs and When to Use Them 8 Types of Excel Charts and Graphs and When to Use Them Graphics are easier to grasp than text and numbers. Charts are a great way to visualize numbers. We show you how to create charts in Microsoft Excel and when to best use what kind. Read More in Excel or formatting data tables in Word 8 Tips to Format the Perfect Table in Microsoft Word 8 Tips to Format the Perfect Table in Microsoft Word Microsoft Word tables are essential formatting tools. Find out how to make a table and format it perfectly with these simple tips. Read More , there’s one thing you should always keep in mind: if it doesn’t look good, no one will read it. Even the smallest cosmetic blunder can render your graphs and tables unsightly at best or downright repulsive at worst. Fortunately, with a few design tips and tweaks, your presentations will never look unprofessional ever again. What’s the key takeaway? Less is more. Remove or mute all unnecessary elements so that the spotlight can shine on the data you want to present. After all, data is what it’s all about. Of course, you don’t have to blindly adhere to every tip. Heed as many of the tips as you find useful. Want to use Calibri? That’s your call. But regardless, try to reduce as much clutter as possible Clearing Out Clutter Is Good For You — But Why? Clearing Out Clutter Is Good For You — But Why? Decluttering is a great way to start the year feeling fresh, and it gives you a big sense of accomplishment — but there's more to it than that. This simple habit can improve your life. Read More . That’s the heart of these GIFs. Did you find these useful? Or were they overkill? Got any tips and tricks of your own to share? Let us know in the comments below! Explore more about: Graphic Design, Microsoft Excel, Microsoft Word. I loved the tips. Indeed useful. Big thanks. As a Financial Controller, I'd argue the 1st "less is more" point. Those changes went too far (in my opinion anyway).